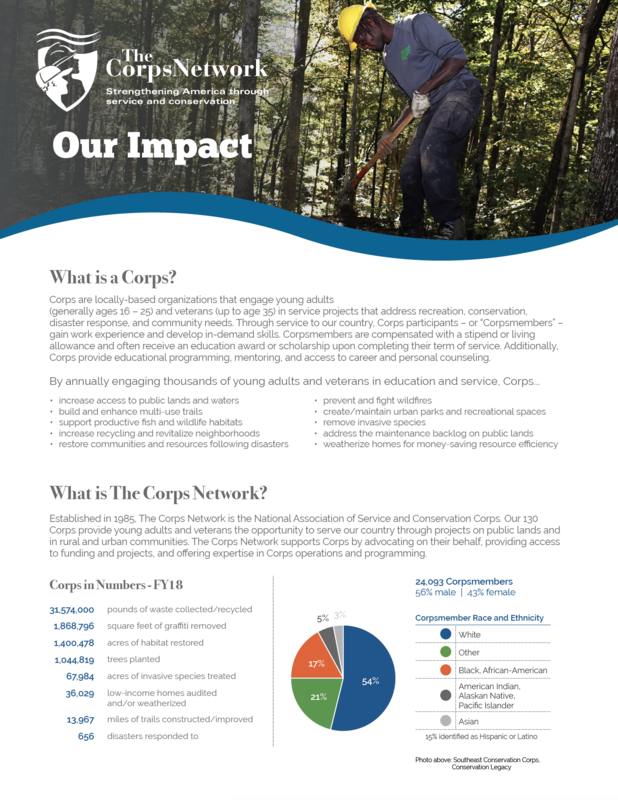 The Southwest Conservation Corps (SCC) is a non-profit, AmeriCorps-affiliated organization, whose mission is to empower individuals to positively impact their lives, their communities and the environment. SCC engages motivated young adults, ages 18 – 30, to complete challenging and impactful conservation and service projects throughout the Four Corners region. Projects may include, trail construction & maintenance, habitat improvement, invasive species removal, hazardous fuels reduction, re-vegetation and local environmental service projects. Crews may also complete technical and/or specialized projects depending on project partner needs, including disaster relief if the opportunity arises. Each crew consists of 6 – 8 members and 2 leaders. Crews work in frontcountry and backcountry locations in all types of weather conditions. Schedules may vary, but generally are 9 days on and 5 days off. There is a possibility you could work 5 days on and 2 days off, or a variation of schedules, so we require all members and leaders to be flexible. SCC does not provide housing on your off days. SCC crews work in a variety of national parks, national forests and other public land areas throughout the Southwest. Crews prepare all their own meals and work together as a group to complete all the necessary chores. Our programs focus on place-based learning, life skills development, appreciation of diversity, civic responsibility and career development. SCC also provides an opportunity for Corps Members to learn about the local environment, environmental issues and introduces individuals to recreation and resource management careers. When not in the field, members are expected to find their own housing. ​The Field Supervisor’s primary role is to provide field support to our field staff and seasonal conservation crews, saw crews and Veterans crews by offering technical assistance, morale support, and ensuring program integrity through policy enforcement and positive mentoring. The Field Supervisor will also assist with Corpsmember interviewing and selection, program logistics, and planning and facilitating staff trainings. Field Supervisors will support both adult, veteran and youth crews. Field time during training season is 100%. Field/office time will vary depending on seasonal and programmatic needs but will usually be close to 50% or more of this positions’ time. This is a great opportunity to continue field exposure, while also developing in administrative skills, programmatic operations and logistics. Training: Help to develop and implement crew leader trainings including technical work, protocols, and leadership and facilitation skills. Be a role model and mentor throughout training and field season. Mentor Crew Leaders and Crew Leaders in Development. Field Supervisor may spend the majority of the 8 week training season embedded in the field with the crews to help set the tone and expectations for the season. Field Support: Conduct regular visits to crews, project partners and work sites. Communicate and debrief with crew leaders and corps members during field visits. Manage on-the-ground project quality and quantity by providing technical assistance as needed. Oversee project management in front country and remote working locations. Enforce all SCC and agency policies and procedures. Provide encouragement, guidelines, and supervision to crew leaders throughout their tenure. Will fill in for vacant crew leader positions as necessary. Programming: Assist with planning, scheduling and implementing crew projects. Assist with development and coordination of risk management policies. Facilitate corps member development in the field. Tools, Equipment, Gear: Plan and help CL’s with food planning and project logistics. Assist Logistics Coordinator in maintaining a clean and efficient base of operations. Work within an established program budget regarding necessary purchases. Help to maintain vehicles and trailers. Develop and implement strategies to improve vehicles safety and care. Maintain a clean and efficient operations center. Assist with rig-ups and de-rigs, including organizing and leading de-rig and volunteer events. Risk Management and Emergencies: The FC Field Supervisor will be one of the first staff responders for crew emergencies and support and, therefore, must be readily available for trips into the field and comfortable with an ever-shifting work schedule. Must participate in an on-call emergency system for crews in the field and help prepare any forms and instruments for emergency planning and use. Recruitment, General Administration and Partnerships: Assist with recruitment and selection of local and national applicants for members of conservation crews, high school crews, and veteran’s crews—as needed. This may include visits to schools, community partners, etc. for recruiting and outreach and interviewing applicants. Assist in management of all new hire and additional member paperwork. Help maintain accurate reporting of all necessary information and complete program reports, project, program and crew leader evaluations throughout the season. Develop and maintain partnerships with community and project partners. To successfully perform essential functions the SCC FC Field Supervisor is required to sit, stand, walk, speak and hear. Will be required to climb, hike, balance, stoop, kneel, crouch or crawl on a frequent basis. Will need to be able to carry heavy loads with backpack and to use hand tools in a variety of weather conditions. Must be able to operate office equipment, telephone, computer, reach with hands and arms, name other equipment of use. Leadership experience with a conservation youth corps, trail, and saw programs. Experience and desire in working with youth, young adults and veterans. Strong skill level of rock and timber construction, new trail construction, trail maintenance, chainsaw operation and maintenance, crosscut use and maintenance, hand tool maintenance, fencing, ecological restoration, and backcountry work and travel. Experience with backpacking, wilderness living and travel, LNT and outdoor leadership. Proficient in computer programs, databases, and other technology. Ability and willingness to work a flexible and varying schedule, including numerous overnight trips. Must hold a current certification in Wilderness First Responder and CPR. Current B Level certification on Chainsaw and/or Crosscut based on current USFS standards – OR ready to evaluate as one.